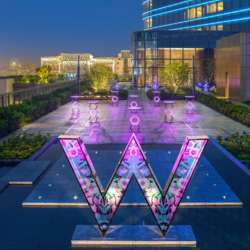 InterNations Suzhou is hosting a special "Gala Night" at W Suzhou! - Dress code for the "Gala Night": make it glamorous, smart, national costume, or best outfit! - Music: DJ Gin on the Terrace! - Cost: "Gala Night" Prices - 300 RMB for Albatross Members. 320 RMB for Basic Members (Special Price Offer). 330 RMB for Walk-ins (Special Price Offer). - After-Party: continue the night in Woo Bar, level 1, W Suzhou. 10% discount applies to House Red and White Wine (De Bortoli, Australia) and Tsingtao Beer, with InterNations bracelet.